In June 2014, the website for reporting hate crimes to the OSCE Office for Democratic Institutions and Human Rights (ODIHR) went public. In 2014, only five states officially reported on hate crimes against Muslims, whereas civil society reported in 21 countries. Still, for the majority of the 57 member countries of the OSCE, there is no official information available. Furthermore, if one were to assess the quality of these state reports, it becomes apparent that the collected data does not always rely on a comprehensive systematic collection. Since Islamophobia or anti-Muslim racism has become a growing threat in European societies, we – the editors – felt an urgent need to address this problem. In fact, there are still people denying the very existence of racism against Muslims. Many state and civil society institutions have done priceless work to prove and establish the opposite: from the Fundamental Rights Agency (FRA) to the countless civil society organisations throughout Europe. Yet, institutions like the FRA publish only irregular reports on a restricted number of countries while most civil society organisations tackle racism in general and only few focus on Islamophobia in specific – this is the urgent gap our report wishes to fill. 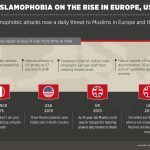 The European Islamophobia Report (EIR) is an annual report, which is presented for the first time this year. It currently comprises 25 national reports regarding each state and the tendencies of Islamophobia in each respective country. The current report features the work of 37 extraordinary scholars. In the years to come we will attempt to cover even more countries. This report aims to enable policymakers as well as the public to discuss the issue of Islamophobia with the help of qualitative data. At the same time, several of its unique characteristic features make a difference to the current state of the debate on Islamophobia. The national reports in the EIR look at significant incidents and developments in each country during the period under review. The authors look at the employment sector: has there been any discrimination in the job market based on the (assumed) Muslimness of a person? 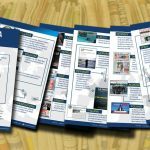 They look at education: has Islamophobic content become part of any curricula, textbooks, or any other education material? The political field in a narrow sense is also a central aspect of the EIR: has Islamophobia played any role in politics, from election campaigns to political programmes to personal statements, etc., be it on a regional or national level? Authors also take a close look at a central force where Islamophobia has spread: the media. Which media events have focused on Islam/Muslims in an Islamophobic way? The justice system is also featured in the national reports: are there any laws and regulations that are based on Islamophobic arguments or any laws restricting the rights of Muslims in their religious lifestyle? Cyberspace as a central space for spreading hate crime is also examined: which web pages and initiatives have spread Islamophobic stereotypes? In addition, central figures in the Islamophobia network are discussed: which institutions and persons have, among others, fostered Islamophobic campaigns, stirred up debates or lobbied for laws? Since the EIR is not content with pointing a finger at the problem, the reports also look at observed civil society and political assessment and initiatives undertaken to counter Islamophobia in the aforementioned fields. This will empower politicians and NGO activists, who want to tackle the issue. Since the EIR is not a purely scholarly work, at the end of every report, authors offer policy recommendations for politics and NGOs. An executive summary at the beginning and a chronology at the end of every report give the reader an overview on the state and the development of Islamophobia in the respective countries. Since the single reports share broadly the same structure, the EIR offers the possibility to compare Islamophobia in these countries. Despite the fact that the data in specific fields is not available in an identical way for all countries, the report still facilitates an impulse for identifying research gaps. Studies on Islamophobia have in the past predominantly concentrated on Western Europe. This is especially the case with reports focusing on Islamophobia. The EIR is the first to cover a wide range of Eastern European countries like Serbia, Croatia, Hungary, Lithuania, or Latvia. This will enrich the debate on racism in general and Islamophobia in Europe in specific. “When talking about Islamophobia, we mean anti-Muslim racism. As Anti-Semitism studies have shown, the etymological components of a word do not necessarily point to its complete meaning, nor to how it is used. Such is also the case with Islamophobia studies. Islamophobia has become a well-known term used in academia as much as in the public sphere. Criticism of Muslims or of the Islamic religion is not necessarily Islamophobic. Islamophobia is about a dominant group of people aiming at seizing, stabilising and widening their power by means of defining a scapegoat – real or invented – and excluding this scapegoat from the resources/rights/definition of a constructed ‘we’. Islamophobia operates by constructing a static ‘Muslim’ identity, which is attributed in negative terms and generalised for all Muslims. At the same time, Islamophobic images are fluid and vary in different contexts as Islamophobia tells us more about the Islamophobe than it tells us about the Muslims/Islam”. That Islamophobia works without Muslims and tells us more about the anti-Muslim racists than it tells us about Islam and Muslims, can best be seen in the eastern region of Europe. In countries like Hungary, Finland, Lithuania, or Latvia, where only a small number of Muslims live, Islamophobia functions as a successful means to mobilise people. People not only greatly overestimate the country’s Muslim population but, although Muslims have not committed any violent acts in most countries in the name of Islam, they are still often deemed violent and are considered to be terrorists. Islamophobia poses a great risk to the democratic foundations of European constitutions and social peace as well as the coexistence of different cultures throughout Europe. Both civil society actors and states should acknowledge the seriousness of this issue and develop concrete policies to counter Islamophobia. Here we have summarised some of the important policy recommendations from the national reports. Islamophobia should be acknowledged as a crime and should be included in all national statistics throughout Europe. Hate crime legislations should be adopted in all European countries that acknowledge one’s religious identity as being a basis upon which one may be targeted. In order to collect data about Islamophobic incidents, victims registers must be introduced in all European states. In order to help the victims of Islamophobic attacks, counselling services for victims must be established in all European states. Journalists, lawyers, Police (security officials) and legal authorities in all European countries should be educated by qualified personnel in regards to Islamophobia. Muslim civil society has to be empowered with information to combat Islamophobia, especially in the direction of the creation of a consciousness of the illegality of hate crimes. Educational institutions and stakeholders have to work towards creating an alternative narrative of Muslims in the respective countries which will work to dispel the widely accepted negative image of Islam. Civil society actors must also push for legislative change in the context of school enrolment policies so that all members of the respective societies are treated fairly when accessing education. Governments must draft a policy that ensures that the rights of religious minorities to manifest their faith are respected in education and the workplace; this must not be left to the preferences of individual boards of management or principals. Discrimination on the job market towards Muslims and especially Muslims who wear veils is a widespread phenomenon. This should be recognised and seriously addressed by better legal regulations and the creation of a relevant consciousness. Civil society actors must engage with media actors/outlets in terms of the publication and broadcasting of standards in order to reduce/minimise the use of racializing discourses vis-à-vis Muslims and other minority communities. The civil rights violations experienced by women wearing headscarves should be addressed by lawmakers and politicians. An independent media watchdog should be established in order to monitor media reports in real time in all respective countries. 1.Károly Villányi, “Azt akarjuk, hogy unokáink egy európai kalifátusban éljenek?”, Magyar Idök, 14.11.2015, accessed 03.01.2016, http://magyaridok.hu/belfold/azt-akarjuk-hogy-az-unokaink-egy-europai-kalifatusban-eljenek-5035/. 2.“L. Simon: Szaporodjunk!”, Népszabadság Online, 05.09.2015, accessed 03.01.2016, http://nol.hu/video/lsimon-a-szaporodasban-latja-a-jovot-1573295?utm_source=mandiner&utm_medium=link&utm_campaign=mandiner_201601. To cite this Text: Enes Bayraklı & Farid Hafez (2016): The State of Islamophobia in Europe in: Enes Bayraklı & Farid Hafez, European Islamophobia Report 2015, Istanbul, SETA, 2016, pp. 5-8.